Diaphragmatic breathing is a type of deep breathing technique used to help us relax and help with oxygenation of the blood. When the diaphragm contracts, in conjunction with the intercostal muscles, it lowers the pressure in the thoracic cavity. This allows air to enter the lungs. When breathing out, the diaphragm relaxes along with the intercostal muscles, allowing air to leave. As we breathe in, we should see the stomach rise slightly as the dome contracts and compresses the abdominal space. As we breathe out, both the chest and the stomach fall. If you look at young children, this is what you usually see. I often see exactly the opposite in adults. Their chest rises as they breathe in. Yet, their stomach is drawn in, and the diaphragm is not engaged. This might give us a more pleasing profile in the mirror, but it reduces the volume of oxygen available by only partially expanding the lungs. This also results in weaker core stabilization. 1. This breathing technique can be done anywhere, but try to make your body as loose as possible. 2. When you breathe, focus on the movement of air in the lower part of your lungs. (Shallow breaths tend to stay in the upper portion of the chest.) So, when you breathe in, your bellybutton should push outward; when you breathe out, your bellybutton should push in toward your spine. 4. Breathe out through your mouth. Breathe out as much air as possible for another slow count of 3. 5. Repeat these deep breaths at least 3 times. Read up on this simple technique, then listen to the guided autogenic training session at the end of the page. It makes for a nice add-on to diaphragmatic breathing! 1. While you are breathing, imagine that your lungs are balloons that you are trying to fill up with as much air as possible when you inhale and that you are trying to let all the air out when you exhale. 2. 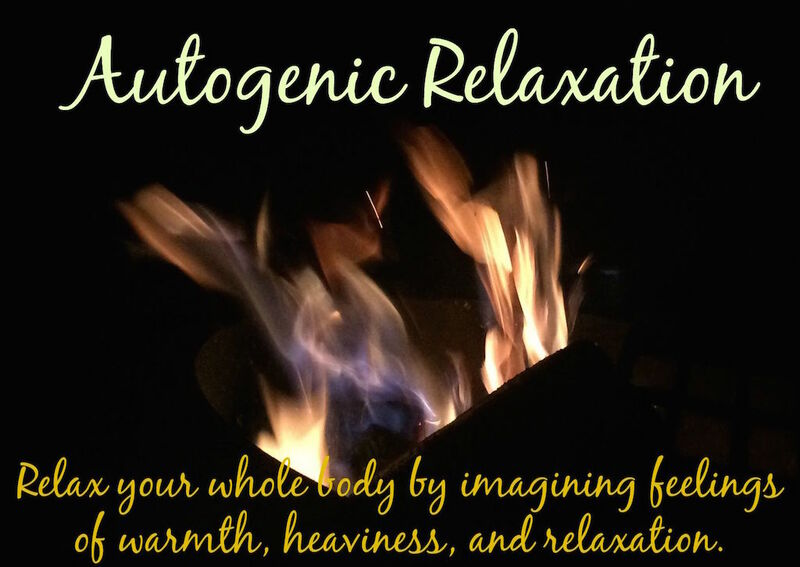 As with any relaxation strategy, practice is required to gain optimal effectiveness. Start with 3 deep breaths in the morning and 3 deep breaths at night every day. Then, increase the frequency of diaphragmatic breathing so that it becomes habitual. 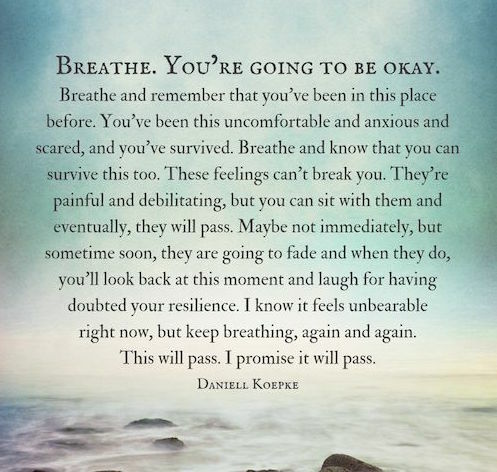 That way, during stressful times, the breathing technique will come back to you more readily. 3. Other relaxation strategies, such as systematic deep muscle relaxation and visualization, may be added to this deep breathing technique. 4. You can also visualize that your breath is following the ebb and flow of the ocean tide. So, as you inhale, visualize your breath as the ocean nearing the shore. As you exhale, visualize your breath going back out to sea. Listening to the sound of the ocean while doing this adds to the relaxing effect, of course!